We had wanted to do a road trip through Utah's National Parks for years and finally made it happen. 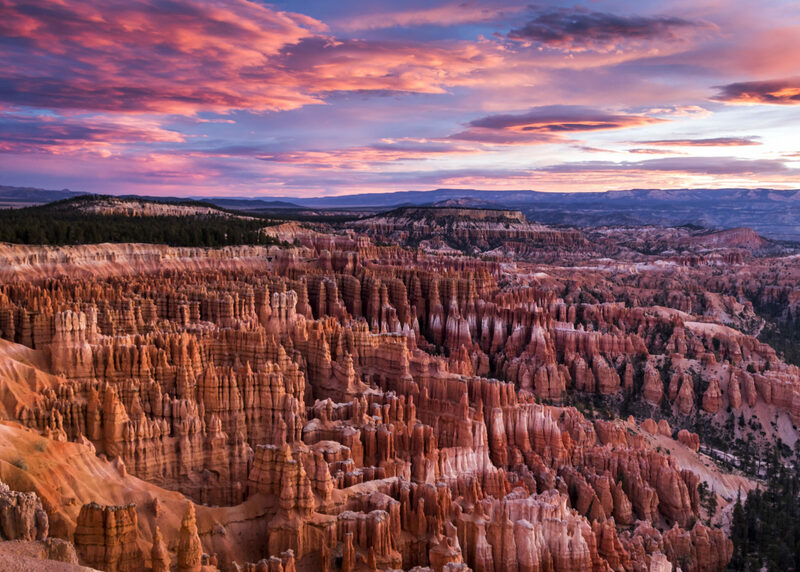 When we got to Bryce we hoped for a nice sunrise to give contrast and life to the hoodoos. What we got was so much more! The amazing pink sky reflected onto the amphitheater brought out color that I did not know existed.